I read in the paper today that North Korea has announced that it is planning to test a nuclear weapon. Needless to say, this has caused considerable consternati0n among its neighbors, to say nothing of our own government. When you stop to consider that Iran has also become increasingly belligerent in this area, I believe it is time that we consider a slightly different approach to this problem. Jong-il is a bonifide powerfreak and a total whackjob. Cool man! Do they have a remote for that thing? 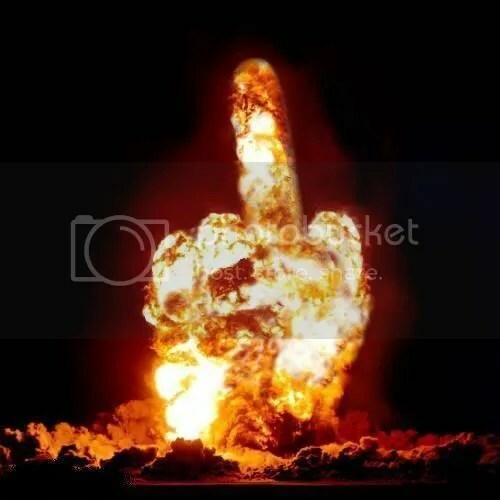 hahaha where did you get that nuke finger pic ?